The Gar Anat is a small hotel with a big soul and a long history. In the XVII it was a pilgrim hospital, giving rest and recuperation to weary travellers in the heart of the city. After years of neglect the famous architect Carlos Sánchez brought it back to life and its doors opened as the charming Gar Anat Boutique Hotel in 2008. 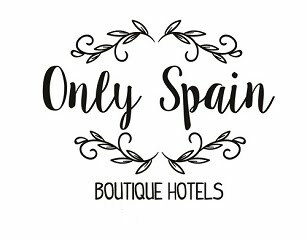 Hubby and I spent two restful nights in the small yet oozing with character hotel two minutes walk away from the throbbing, dynamic heart of Granada. We loved both the hotel and its position. Deciding to leave the car on the city outskirts, mainly due to having found a good parking spot and a great bar for lunch, our weekend began with several beers so we caught the bus in and walked 5 minutes to the hotel. Parking is available if you'd rather drive there. We very much liked the quaint hotel with lots of original features and the domed-cellar breakfast room. Just a short walk from everything and everywhere we wanted to explore in the centre of Granada. The staff were very helpful, welcoming and friendly, this is a small hotel with a small team but with a high desire to make your stay as good as possible. It is somewhere I would return too (if there weren't so many others to try out) and recommend too.